New full-frame DSLR's: are they right for you? Coinciding with this month's biannual Photokina trade show, Canon, Nikon, and Sony have all released new DSLR bodies which offer full frame (35mm-sized) sensors at a really low price point (US$2000-3000). I don't typically review brand new gear in the Prairie Rim Images blog, but I've been asked by a few people what I think of these, so I wanted to share my opinions publicly. 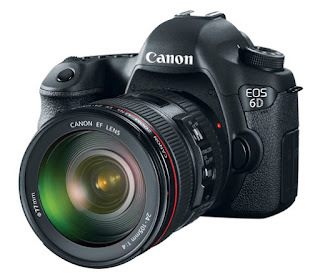 The specific models in question are the Canon 6D, the Nikon D600, and the Sony SLT-A99. 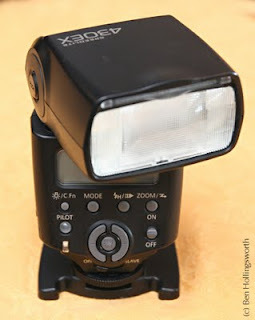 My Canon Speedlite 430EX died on me recently. Much to my dismay, I found that Canon factory service no longer repaired that model. Nor, in fact, would several other third party repair facilities. This stuck me as odd, because the flash had only been out of production for four years, and although the 430EX wasn't their flagship model, it was closer to the top than the bottom of their product line. This caused me to do a little digging into the amount of time for which you can expect to have a particular piece of camera equipment repaired, should it fail on you. This info is especially useful for people like me, who like to save a buck by buying used gear.